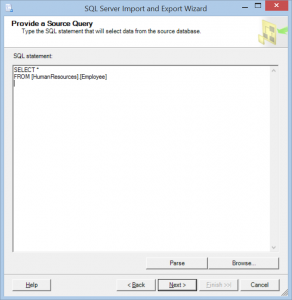 We recently encountered the following bug in SQL 2012 with the import export wizard. Please note that the “nnn’ could be any number. The Datetimedatatypes may not error but it will convert them to datetime2 datatypes. This has been reported to Microsoft and will be fixed in a future release. Below are the 3 workarounds that our consultant has used successfully. 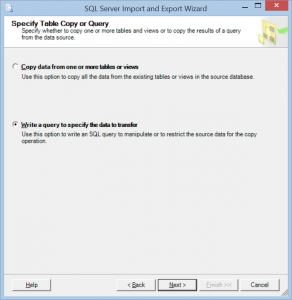 The latest cumulative update for SQL 2012 SP1 doesn’t fix it, quite possible this will be fixed in the next Service Pack. 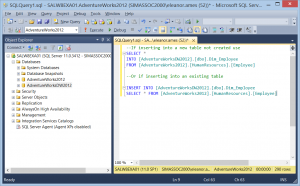 This issue doesn’t exist in SQL Server 2014.